Posted in Firearm Training and Education	Tagged with: Arlington Fairfax Falls Church Alexandria Tysons Corner, Basic Firearm Gun Classes, Handgun Rentals, Handguns Pistols Revolvers, Northern Virginia, Northern Virginia Washington D.C. Maryland, Virginia Gun Instruction Classes, Washington D.C.
Use the search bar below to find articles of interest. High Demand for Female Gun Instructors and We have one of the best! Join National Shooters on June 28th weekend for our Basic Conceal Carry & Home Defense and AR15 101 classes! 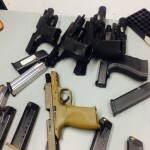 Handgun 101 Review by Johanna H. of Bethesda Md.